Cacao and quinoa have been used in combination since Aztec times, and I find this delicious recipe an easy way to incorporate the ancient superfoods into snack time treats. 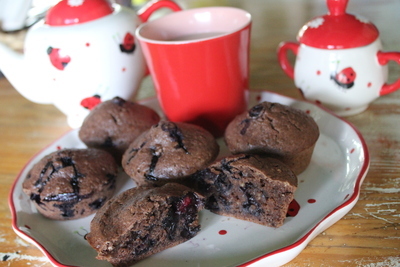 Why not bake these healthy chocolate muffins to pack in the school lunch box or as an afternoon tea surprise? 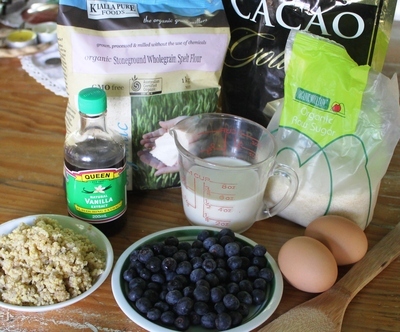 For this recipe, I have used cacao powder, blueberries and some cooked quinoa to add some protein. Cook the quinoa seeds exactly as you would cook rice - it will add the slightest nutty flavor, and a bit of interesting texture to your next batch of muffins. Sieve plain flour, baking powder together in a large mixing bowl. 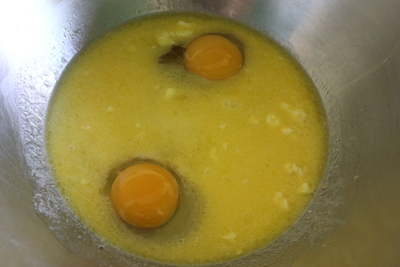 Melt the butter, add milk, vanilla extract, and eggs. 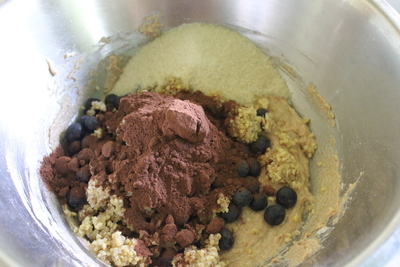 Combine all the remaining ingredients together and mix lightly. 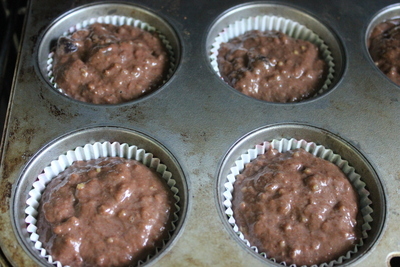 Spray twelve medium sized muffins pans with non-stick spray and spoon the mixture into each pan. Bake in a moderate oven for twelve - fifteen minutes. 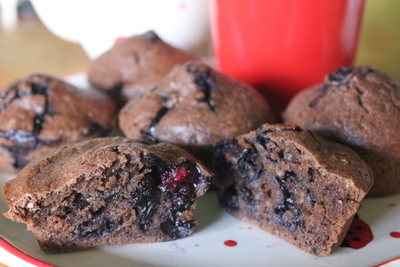 Serve hot for afternoon tea, or pack in the school lunch as a healthy treat. 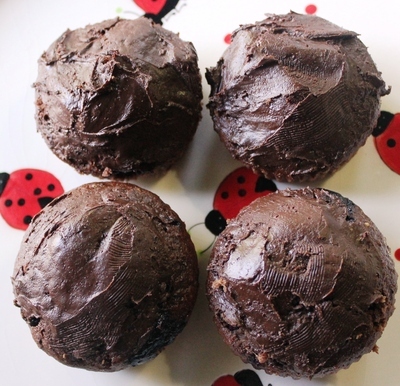 You could spread on some simple chocolate icing to make them even more tasty. Wow! I must make these!